MIAMI — A cruise ship passenger has filed suit against the cruise operator, claiming he fell on an unpadded bolt and suffered injuries including four broken ribs. Boca Raton resident Mel Feinberg sued Oceania Cruises Inc. on Feb. 18 in U.S. District Court for the Southern District of Florida, claiming that insufficient measures were taken to prevent injuries. 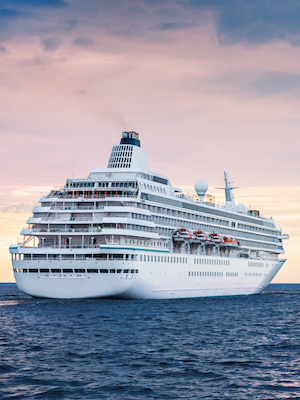 The Oceania Marina passenger filed a complaint on Feb. 18, in the U.S. District Court for the Southern District of Florida against Oceania Cruises, Inc. alleging that the vessel operator failed to exercise reasonable care for the safety of its passengers. The plaintiff alleges that, on Feb. 19, 2015, he fell and landed on an unpadded bolt that caused his injuries. The plaintiff holds the defendant responsible for allegedly failing to adequately equip the vessel with safe structures and equipment. The plaintiff seeks the following: compensation for damages, medical expenses, loss of earnings, loss of ability to earn money, costs for this action and any other relief that the court may find just and reasonable. He is represented by Glenn J. Holzberg of Holzberg Legal in Miami. Want to get notified whenever we write about Oceania Cruises, Inc. ? Sign-up Next time we write about Oceania Cruises, Inc., we'll email you a link to the story. You may edit your settings or unsubscribe at any time.